Tūhana empowers clients to deliver projects with sustainable commercial and social outcomes. Tūhana (noun) river-crossing pole – a pole held breast high for linking people when crossing a river where the strongest people are positioned at each end of the pole, to prevent the smaller or weaker members of the party from being washed off their feet. We create commercial opportunities in under-developed, developing, and developed markets. We strongly believe that long-term commercial outcomes are only sustainable when there is a positive link to local communities. It is this symbiotic relationship that Tūhana develops with our clients. Our socio-economic skills are grounded by a deep understanding of the issues and needs facing indigenous peoples, and their interactions with other stakeholders. Our commercial skills are grounded by in-depth experience, particularly in primary and related sectors. Since the inception of the Agricultural Development Livestock Initiative (“Ag-Dev.”), the Bill & Melinda Gates Foundation have committed significant resources to solve technical animal health and genetics problems to help smallholder farmers to acquire healthy and more productive cows. The Foundation has also committed to increasing farmers’ ability to come together and sell milk through the East African Dairy Development (“EADD”) Program. In both Tanzania and Ethiopia, the effective aspects of the EADD model are being replicated across multiple milksheds. These investments will soon yield benefits in terms of significant increases in the supply and volume of milk in specific milksheds in Ethiopia and Tanzania. In collaboration with the Bill & Melinda Gates Foundation, Tūhana conducted a feasibility study to investigate the potential for a commercial dairy operation in Ethiopia. This study included investigation of the technical aspects of dairying, commercial drivers within the industry, as well as socio-economic opportunities for smallholder farmers. The project is continuing to the next stage of commercial and social due diligence to support a potential investment. Tūhana developed an overarching strategy and road-map for the Myanmar dairy industry. This concentrated on identifying the key constraints to the industry, including better engagement of smallholder farmers. The roadmap included how the various government agencies should be best co-ordinated to ensure effective implementation of the strategy. Tūhana has been working with the Fijian dairy industry for several years, starting with the development of a milk supply and purchase agreement between the main processor and farmer milk supply co-operative. Recently we reviewed and developed standard operating procedures for milk collection and testing, and are now engaged in developing an overarching strategy for the Fijian dairy industry to set the scene for its further development. This work takes account of consumer trends, the roles and responsibilities of the various stakeholders such as the processor, the supply co-operative, and the Fijian Government, alongside smallholder farmers. Like many small island nations, the Cook Islands is significantly dependent on the importation of goods. Tūhana designed an import substitution project for the Cook Islands which identified key areas for the Cook Islands to bolster local production, improve domestic suppliers’ market share and decrease reliance on the imported equivalents; assisted in the development of the “Go Local” campaign; developed with the local Business, Trade and Investment Board, a strategy for capability building within the agriculture, food service, hospitality and tourism sectors. Tūhana has significant experience and expertise in the Pacific region, having worked with a range of both Pacific and Māori entities. We adopt a gender-sensitive approach to our work and ensure that gender and social equity is a core component of all programme planning and delivery. One such example includes a recent project to provide technical advice on the design, implementation and risk factors of an aid programme on poverty reduction and livelihood opportunities for women in Fiji, Samoa, Tonga and Vanuatu. The programme focused on the formation of women’s cooperatives for handicraft production, marketing, and sale at (cruise ship) ports in the various Pacific Island states. Enterprise Mauritius is the trade promotion agency of the Government of Mauritius. Tūhana undertook a review of the organisation’s effectiveness and current strategy. This involved a thorough review of Enterprise Mauritius’ existing operations. Tūhana has worked with the Autonomous Bougainville Government (ABG) to develop an enabling environment for ‘responsible inward investment’, which meets Bougainville’s cultural, social and economic needs. Tūhana developed the inward investment policy which was approved by the ABG in 2012, as well as related legislation that was passed by Parliament in 2013. Our team also built the Bougainville Inward Investment Bureau including all its operating policies, systems, processes and training of Bureau staff. The Bureau was developed to ensure practical and effective implementation of the legislation. As a post-conflict state, our project team worked with the client to understand the environment in which the Region’s economy, society and culture has evolved, and currently operates. The project required constant engagement with Government, landowners, community groups, as well as foreign and locally owned businesses. The Government of Papua New Guinea has been keen to increase the participation of local landowner groups as investors in State-Owned Enterprises. Tūhana developed a policy for the Minister and his department to provide direction on how participation could be maximised. This was based on a review of landowner rights, other existing laws, customary practices, and the experience from other significant industries in Papua New Guinea, such as mining. Tim is Managing Director of Tūhana. He is a successful international executive with particular strengths in strategy development and implementation, stakeholder management, and building high performing teams. He has been a Chief Executive in Government and held Managing Director and senior executive positions in co-operative, and public companies. Tim’s career spans roles in the New Zealand Dairy Industry, in New Zealand, Asia and Europe. It includes Managing Director, Anchor (UK) Limited, Managing Director, North Asia, New Zealand Dairy Board, Group Director Global Strategy New Zealand Dairy Board. 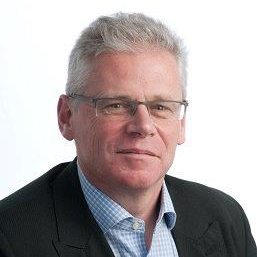 Tim is on the Board of Miraka Ltd, a New Zealand based milk processing company. He is also a director of the Port Otago Limited, Skills International Limited, and LIC (Livestock Improvement Corporation). 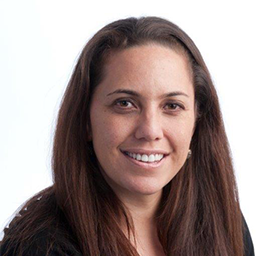 Hayley is a qualified lawyer and human rights practitioner specialising in indigenous rights and development. She has a particular interest in ensuring indigenous landowner groups are protected and able to develop on their own terms. Hayley has been called upon to facilitate engagement between indigenous landowner groups and corporations. A key component of her approach is using the group’s values as the basis of the engagement process, ensuring the group are not passive bystanders but considered key stakeholders in all aspects of the development. Hayley also has extensive experience in programme design, management, and evaluation. This includes advising private corporations on their human rights policies, as well as review of supply chain challenges. She currently manages teams working in Australia, Bougainville, Ethiopia, Fiji, Myanmar, Papua New Guinea, Thailand and Vanuatu. Maxwell has many years of international dairy expertise as a scientist, operations manager, and Chief Executive. He is recognised internationally and consults regularly in both developing and developed dairy markets. Max has a deep practical, technical, and commercial understanding of dairy issues and the interfaces from the farm through to the consumer. Matthew obtained his Ph.D in Human Rights and Peace Studies from Mahidol University, Thailand. He is a well-regarded lecturer, researcher and practitioner on human rights. Matthew has written extensively on the philosophy and practice of human rights and peace in business settings. He specialises in preventative measures, ranging from human rights policies and due diligence to conflict management systems, and innovative approaches to optimise a business’ social impact. Cameron has worked extensively with Traditional Owner communities in Australia, and has an intimate understanding of related economic and social development opportunities and constraints. He is a founding Director of Leave No Trace, an organisation that encourages people to minimise environmental impacts while enjoying natural and cultural heritage areas; and key advisor to a large aquaculture project in the Kimberly region of Western Australia. Hubert is the Principal of Namani & Associates, a law firm based in Port Moresby, Papua New Guinea. Hubert has extensive commercial and legal experience including commercial transactions and land development. Carlos is based in Bougainville, Papua New Guinea. He is a political science graduate from the University of Papua New Guinea, with post graduate qualifications from the East/West Centre in Hawaii. Carlos has extensive experience in government policy and peace and reconciliation issues.